Carol Anne Hilton is the CEO and Founder of The Indigenomics Institute. She is a recognized First Nation’s business leader and adviser. Carol Anne is of Nuu chah nulth descent from the Hesquiaht Nation on Vancouver Island. 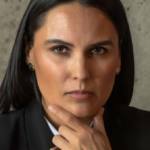 She currently serves on the BC Emerging Economy Task Force as an adviser to the Minister of Jobs, Trades and Technology as well as on the BC Indigenous Investment Council for the Ministry of Indigenous Relations and Reconciliation. Carol Anne was appointed as a senior advisor to the federal Finance Minister on the Canadian Federal Economic Growth Council. Carol Anne was the 2018 winner of the Canadian Council for Aboriginal Business Excellence in Aboriginal Relations award. The Indigenomics Institute supports the development and growth of the Indigenous economy with a focus on social, economic, and cultural well-being. The work of the Institute is to facilitate a focused creative agenda to converge ideas, resources, and people to grow the Indigenous economy. 1- Canada’s Indigenous economy has the potential to grow from $32 billion to $100 billion in the next 5 years. 2- Modern Indigenous economic design means inclusion, jurisdiction, the recognition of treaty rights, local decision-making power and inclusion in industries on the traditional territories of Indigenous communities. 3- Businesses and government need to adjust their supply chains to procure from Indigenous businesses and should offer Indigenous communities equity positions in projects on their territorial lands. These are key drivers of Indigenous economic growth. Who wants to play indigenomics? This is an open invitation; indigenomics is neutral and without any political and legal baggage. It requires action and leadership for the focused growth of the Indigenous economy. What is the size of the Indigenous economy in Canada, and what are its strengths and weaknesses? TD Economics published a special report in 2016 that estimated the size of the Indigenous economy to be around $32 billion at the time. Previous measurements have demonstrated a clear trajectory of Indigenous economic growth over the last 10 years and I think it is now possible to grow Canada’s Indigenous economy to $100 billion over the next 5 years. One of the strengths of the Indigenous economy is that Canada’s changing legal environment is facilitating the economic growth of Indigenous communities. Indigenous people have won 270 legal cases for their rights and although these wins were in the courtroom, these victories set a new standard for Indigenous relations with the state and corporations. This creates a new economic space in which Indigenous companies and entrepreneurs can grow. In terms of risks, the impact of the Indian Act has definitely led to the underdevelopment of reserves and the Indigenous economy in Canada over time. It has created the perfect conditions for Indigenous economic regression. Today, the Indian Act has created the conditions for ‘market failure’ and through the current fiscal relationship it creates with Indigenous communities – this is a huge risk. This needs to be brought to the forefront of Canadian consciousness since we are at the point where the cost of doing nothing is outweighing the risk of doing something. The present can either be looked at as a moment of power or one of weakness. The time is now to empower the emerging Indigenous economy. What is the relationship between Canada’s Indigenous economy and its overall economy? How is it changing? Indigenous economic growth is important to Canada’s future economy as a whole – it does not only benefit Canada’s Indigenous communities and companies. The health of the Indigenous economy is inextricably linked with Canada’s overall economic growth. Over the last 150 years there has been an overemphasis on Canada’s legal relationship with First Nations, Métis and Inuit people at the expense of our economic relationship. There has been a focus on the problems Indigenous communities face. Now it is time to design the solutions that promote healthy local indigenous economies since these support regional economies and, in turn, the national economy. It is all connected. And growth in the Indigenous economy also creates a shift in communities’ socioeconomic indicators that support both poverty alleviation and increased quality of life for Canada’s Indigenous community. The potential of a $100 billion Indigenous economy supports Canada’s future economy by having Indigenous people sitting at the economic table by design. The invitation to be included at the economic table is the new environment for Indigenous economic growth today. It recognizes that it makes sense to be inclusive of Indigenous people, that strategic partnerships are necessary, and that the growth of the Indigenous economy requires design and empowerment. Above all, it recognizes that Canada must have an economic relationship with Indigenous people. In this vein, the invitation to Canada is “Who wants to play indigenomics?” It is an open invitation; indigenomics is neutral and without any political and legal baggage. It requires taking action and leading the growth of the Indigenous economy. What is the Indigenomics Institute and what are its goals? I launched the Indigenomics Institute at the beginning of February 2018 with the aim of developing a platform to bring visibility to the growth of the Indigenous economy. We want to be able to converge ideas, tools, resources and people to facilitate Indigenous economic growth. At the federal level, Indigenous communities have historically been looked upon only as problems to be solved, not assets to be grown. There is a lot of research that identifies problems, challenges or gaps. In contrast to this, we will look at driving research that supports constructive and measurable growth. Through this, the Indigenomics Institute is working to establish modern Indigenous economic models that reflect the indicators and approaches important to Indigenous communities. Modern Indigenous economic design means inclusion, jurisdiction, the recognition of treaty rights, local decision-making power and inclusion within industries on the traditional territories of First Nations. In terms of our goals, the Indigenomics Institute aspires to support the development of the Indigenous economy from $32 billion to $100 billion in 5 years through constructive generative design. To do so, it wants to be able to understand the foundations of Indigenous economic growth and the levers that can be employed to accelerate it in order to unleash a national Indigenous economic agenda. To support this, the institute also seeks to lead a constructive and measurable national Indigenous economic research program. Lastly, the Indigenomics Institute aims to develop a media narrative that supports a shift in Canada’s perception of Indigenous people. Canada needs to shift to the new narrative; Indigenous peoples are not a burden on the fiscal system, but an economic powerhouse. Where do you see the most opportunities for Indigenous economic growth? I see some excellent pressure points in particular through the Canadian Council for Aboriginal Business’ (CCAB) Procurement and Supply Change challenge. According to Indigenous Works’ 2016 report, 85% of businesses in Canada had not engaged with any First Nations communities in any way. This is space for engagement for the disengaged majority. This is an excellent area for companies to look for opportunities to increase their engagement with Indigenous communities and companies. Businesses should therefore try to incorporate more Indigenous businesses into their supply chain. The First Nations Major Projects Coalition (FNMPC) is also creating amazing economic models around the inclusion of Indigenous equity as a major factor within project development on traditional territories. Equity ownership is a strong driver of Indigenous economic growth. Moreover, many Indigenous economic development funds are being developed, especially to tackle the infrastructure deficit Indigenous communities experience. In terms of particular sectors, I see clean technology, renewable energy and infrastructure as sectors, among others, that look especially promising for Indigenous communities and companies in the near future. There is a growing wave of Indigenous entrepreneurship whether it is in transportation, energy or mining. This wave requires capitalization and the National Aboriginal Capital Corporations Association (NACCA) and Aboriginal Financial Institutions (AFI) are demonstrating the capital requirements of the Indigenous economy. Supporting Indigenous entrepreneurship will undoubtedly require increased investment. It will also require capacity building. One step in the right direction isan Indigenous innovation incubator that is supporting entrepreneurship in Toronto. Canadian governments must make a clear shift away from their existing ‘funding’ model they have applied to Indigenous communities, and move towards an investment model. Funding entrenches dependency whereas investment allows for the establishment of self-sustaining growth. Equally important is that governments must increase their understanding that they are in both a legal and an economic relationship with Canada’s Indigenous communities.